The development of the individual child is the shared responsibility of the home and school. This partnership should promote a positive and supportive environment from which the child can respond to the many opportunities provided in school. We strive to create a culture of respect, self-discipline, inner confidence and a pride in good behaviour and appearance. As a community school we value our relationship with all aspects of the locality. We are a friendly, happy school with traditional values and high expectations of all our pupils. We are fully committed to enriching children’s lives now and into the future. All children need love, care, time and understanding. Their primary education is a vital part of a growing awareness of the wider world, for which they need to gain knowledge and skills essential to life. It is of the utmost importance that children are happy at school if they are to reach their potential. • To maintain a happy, caring environment with a secure and welcoming atmosphere which gives children the confidence to become independent learners. • To promote respect for all, regardless of differing religious beliefs and ways of life and develop a culture which is opposed to discrimination relating to socioeconomic background, creed, ethnic origin, gender or disability. • To provide learning environments where children can enjoy success through well planned activities and which caters for individual needs. • To plan a broad, balanced and relevant curriculum for each child’s physical, intellectual, emotional, social and moral needs. • To work in close partnership with the child’s home and family to promote a positive educational experience and which helps children to interact successfully with their peer group, family and community. 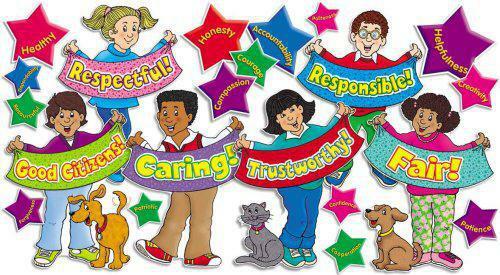 •To actively encourage lifelong learning, promote high standards and encourage all children to achieve their potential.